BRISTOL - Krista Johnson Goodrich has been singing since she was a child. “The moment my mom really knew I was a singer was when I got up on the table at my grandmother’s house and turned a prayer that she used to say to me every night into a song. I was two,” the local resident recalled. 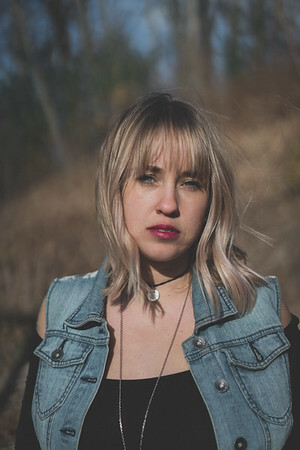 Now Goodrich’s first album, “Hindsight,” which came out in 2016, has gotten her nominated for Best in State: Connecticut for the 2018 New England Music Awards. A graduate of Bristol Eastern High School, Goodrich was in madrigals and chorus back then but she said she is mostly self-taught musically. “I’ve always liked poetry. I went to Tunxis [Community College] for two semesters and at the time I wanted to do interior design, but I got into hairdressing. I work in Collinsville and I have worked in Southington hairdressing and that kind of took my focus for a while, but now I’ve found my music. It took many years to get to that,” she said. She said listeners have compared her style to Joni Mitchell, Norah Jones, and young English singer-songwriter Birdie. The first album, with eight songs, she recorded at On Deck Sound Studio in Northfield, with Tracy Walton producing. The second one, “Salt and Soil,” is a five song EP currently being produced by Christopher Hawthorne at Studio 150 in Burlington, Vermont. She expects it to be finished by mid-fall at the latest. Her songs are available on Spotify and other streaming platforms, and she also hands out CDs at her live performances. To vote, go to nemusicawards.com/vote/. Posted in The Bristol Press, Arts, Bristol on Sunday, 12 August 2018 21:54. Updated: Sunday, 12 August 2018 22:06.